The Range Rover has been the flagship model of Land Rover's car lineup since its mainstream introduction in 1970. Today, the SUV offers state-of-the-art luxury interiors, LED daytime running lights, and high performance in a variety of road conditions. 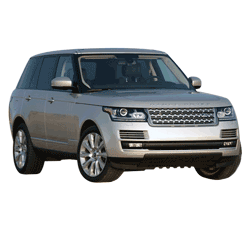 Priced starting at $84,225, 2014 Land Rover Range Rover is designed for those that want it all. Powered by its 5.0 liter V8 engine, the Range Rover delivers 375 horsepower distributed across a four wheel drive system. With the supercharged model, the engine moves up to 510 horsepower. This means that the Range Rover has more power than many of today's sports cars. In speed tests, the vehicle was able to go from 0 to 60 in just 7.7 seconds and reach a top speed of 155 miles per hour. For a full-sized SUV, these numbers are very impressive. Even those that don't plan to take their 2014 Land Rover Range Rover offroad can still appreciate how it helps with handling in adverse conditions. The Terra Response system enables the 2014 Land Rover Range Rover to automatically analyze road conditions and make adjustments suitable for the terrain. This causes the vehicle to adjust the suspension, transmission, and engine to perform optimally given the conditions. So whether it is a dirt road or snowy day, the vehicle is able maximize traction and performance. The Range Rover's elevated profile makes it ideal for everyday conditions. While parked at a traffic light or in dense city traffic, the vehicle gives the driver a bird's eye view of the surrounding landscape. This can assist the driver with making quick decisions to increase safety. This can also help the driver keep an eye on road signs and other road hazards. The plush leather interior of the 2014 Land Rover Range Rover is truly a masterpiece. From the seats to the dashboard, the entire interior is handcrafted with premium leather components that blanket almost the entire interior. The leather seats even have small perforations to make the driver more comfortable with breathable leather. Considering that the Range Rover comes with air conditioned front seats, these small holes can be very beneficial. With a full panoramic sunroof, tall side windows, and a giant front windshield, the 2014 Land Rover Range Rover does an outstanding job building an environment that is full of life. By surrounding passengers with windows that provide natural light, Range Rover passengers feel attuned with their natural environment. Traditional cruise control makes long trips much more enjoyable since car speeds can be maintained without manual intervention. With the 2014 Land Rover Range Rover, this simplicity is taken to a whole new level with a wide range of driver assistance technologies. The Range Rover comes with adaptive cruise control that automatically adjusts highway speeds based on upcoming traffic patterns. The car can even make an emergency stop if necessary to prevent an imminent crash. One of the most exciting features of the Range Rover is its ability to control both hot and cold temperatures. Most luxury cars offer heated front seats, but Land Rover takes this further by making the seats air conditioned. Since interior leather can get hot in the sun, this feature makes outdoor parking more comfortable. The 2014 Land Rover Range Rover also includes a 1700 watt speaker system with a total of 29 different speakers. The vehicle also works to automatically tune the speakers to perfection through an Audyssey MultEQ audio tuner. As though having a wooden steering wheel isn't enough, the vehicle also includes a heated steering wheel. Normally one of the coldest parts of the car on a cold winter day, adding heat to the steering wheel is a convenient addition to the luxury features of the Range Rover. For most cars, having a fully-illuminated interior with LED lights would be enough. For the 2014 Land Rover Range Rover, just doing the minimum wasn't enough. Therefore, engineers at Land Rover designed the car to support a full spectrum of LED lights that can be adjusted based on the time of day. Quite simply, this vehicle isn't cheap. Just the base model alone costs more than twice the cost of an Audi A6. This isn't counting the Range Rover Autobiography edition that offers a few minor features for the whopping price of $137,675. 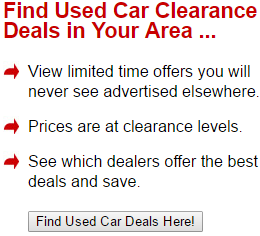 While affordable for some, this car is out of reach to most. This car certainly isn't for the eco-friendly. In city conditions, the car is rated at just 14 miles per gallon. This puts the Range Rover below many high-end sports cars when it comes to gas mileage. Luxury simply isn't for everyone. Spen King, the original creator of the Range Rover back in the 1970's still drives a Mini Cooper. His reasons for not driving his life's work aren't that he can't afford the price tag, but rather that he doesn't like to turn heads. For some, the high-end features that the 2014 Land Rover Range Rover offers simply are too much. Yet for the majority of hard-working individuals, the Range Rover is an incredible offering for those that can afford it.